KUMUL centre Kato Ottio has been named in the forwards for the PNG Prime Minister’s 13 to bolster the side as it prepares to face the Australian PM’s 13 on Saturday. 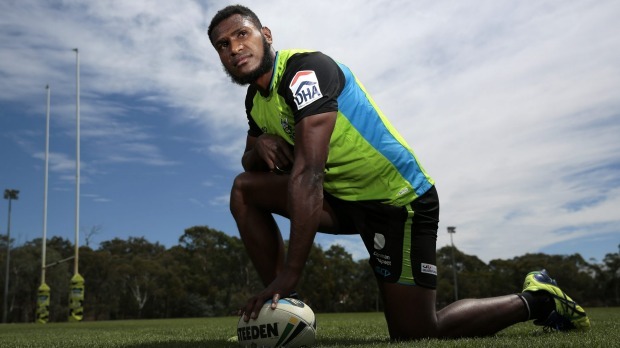 Ottio, 23, has had a quiet season for the Raiders’ feeder club Mounties in the NSW Cup this year after an impressive debut season where he scored 28 tries before injuring his knee. The 192cm back will now play in the second-row. Ottio joins Hunters players Karo Kauna Jr, Muka Peter Kulu, Gahuna Silas and William Mone as part of a squad mostly made up of Digicel Cup talent. Head coach Michael Marum will hand over the reins to deputies Stanley Tepend and Stephen Nightingale on Friday as he travels with the PNG Hunters to Brisbane for Sunday’s grand final against the Sunshine Coast Falcons at Suncorp Stadium. The team will be skippered by Lae Snax Tigers John Simon . Team Management: Steven Nightingale, Roderick Puname, David Westley, Solomon Kulinasi, Leonard Tarum and Tim Rodgers.